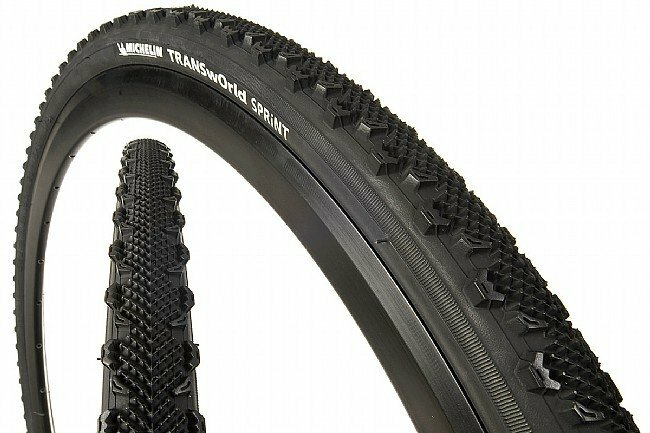 The Transworld Sprint has a versatile tread for city, touring, trail, or even dry cyclocross. Protek compound provides high mileage, grip, and resistance to aging and pollutants. Puncture resistant reinforcement under the tread. 700x35 or 700x40 wire bead. All black or with a reflective stripe on the sidewall.